Many Riverview area residents have experienced a boost in self-confidence by undergoing restorative or cosmetic dentistry at Five Star Dental Care. I’m Dr. Jeff Bynum of Five Star Dental Care. Nothing gives me more satisfaction than helping Riverview FL dentistry patients dramatically improve their smile and overall health with the latest tooth restoration procedures to correct dental problems and imperfections. I enjoy consulting with my Riverview FL cosmetic dentistry patients to create personalized smile makeover treatment plans. At Five Star Dental Care, the treatment plan may include tooth bonding, porcelain veneers, or dental implants. For dental patients with old or damaged crowns, we can provide beautiful new dental crowns. Tooth-colored dental fillings are popular for our Riverview area cosmetic dentistry patients who are happy to be free of unsightly old silver fillings. It is important to be examined by your dentist regularly to check your previous dental work, including fillings, tooth bonding, veneers, crowns and bridges. At Five Star Dental Care, we can tailor a cosmetic or restorative dental treatment plan to fit your budget. Professional tooth whitening is a surprisingly affordable way to attain a mega-watt smile without spending a lot. Restorative and cosmetic dentistry can relieve pain, correct bite issues, and prevent future problems. 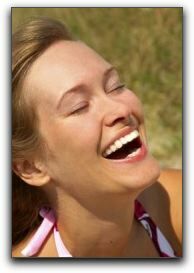 A Riverview FL smile makeover is an investment in yourself that you will enjoy every day for many years to come. If you have ever wondered what cosmetic dentistry can do for you, or have some dental concerns, call Five Star Dental Care at 813-653-2273 to schedule a thorough exam and consultation. This entry was posted on Friday, April 27th, 2012 at 10:40 am	and is filed under Cosmetic Dentistry. You can follow any responses to this entry through the RSS 2.0 feed. Both comments and pings are currently closed.